Dr. Maddens earned his undergraduate and doctoral degrees at Wayne State University, Detroit. 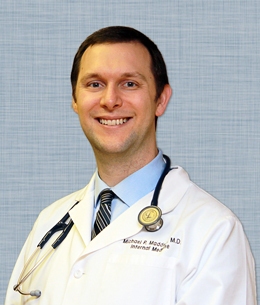 He completed his internal medicine residency at William Beaumont Hospital in Royal Oak. He is also a member of the American College of Physicians. He is also a member of the American Medical Association, Michigan State Medical Society and Wayne County Medical Society. Dr. Maddens has been practicing Internal Medicine since 2007 and is certified by the American Board of Internal Medicine.